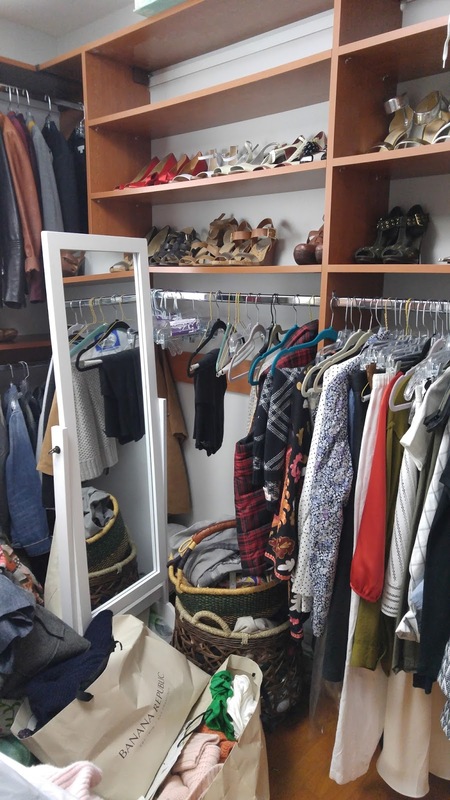 What does it take to turn an old, unused bedroom into a fabulous walk-in closet? Well, honestly, a little bit of work! 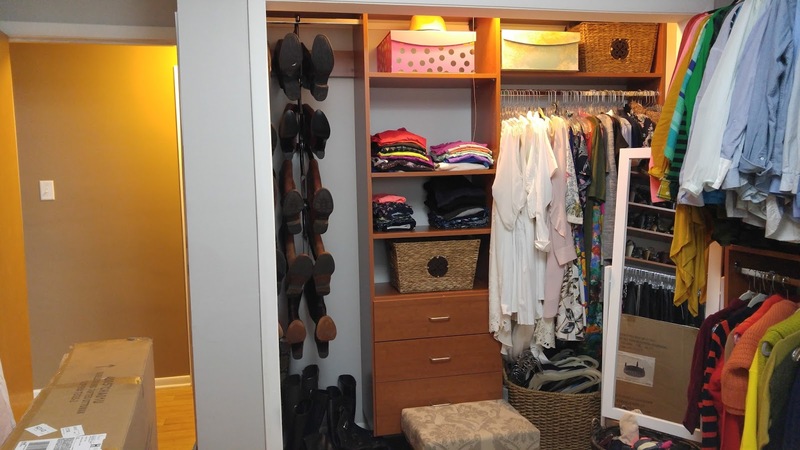 A client recently contacted me because she had always wanted a walk-in closet that felt like a boutique. As one child had moved out of the house, she had a spare room to house her sizable wardrobe in one space - for the first time ever! 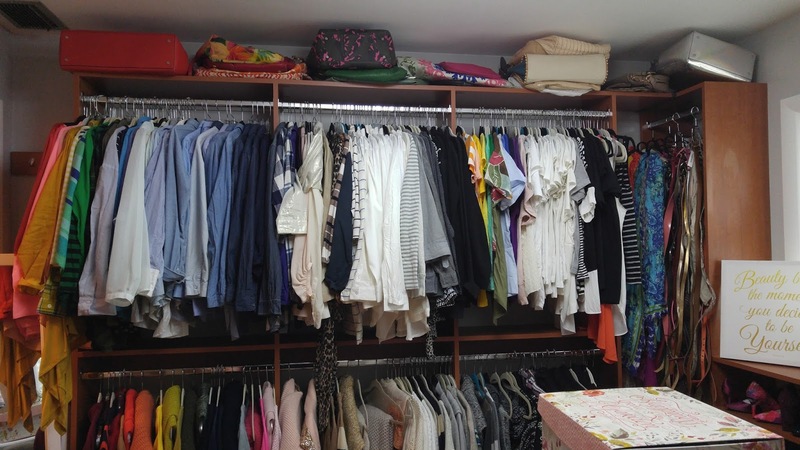 She had already met with a closet designer who had installed a customized system on all four walls of the room. Movable shelves and hanging rods were installed in a variety of sizes and lengths. 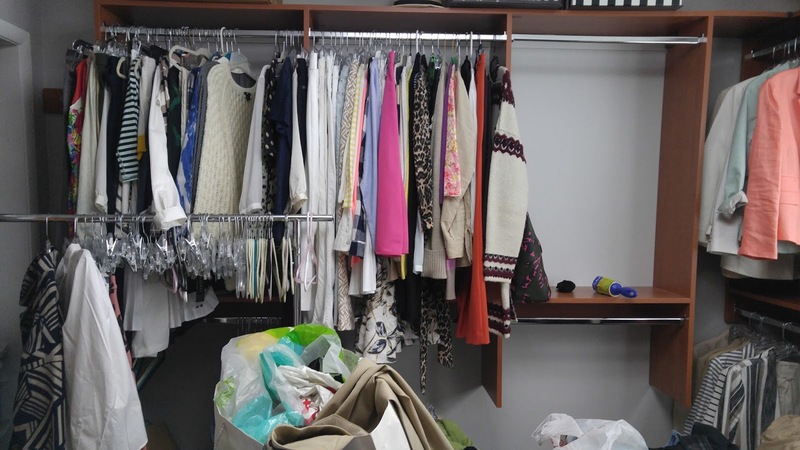 She had already purchased new hangers and baskets and bins... and then got really overwhelmed. 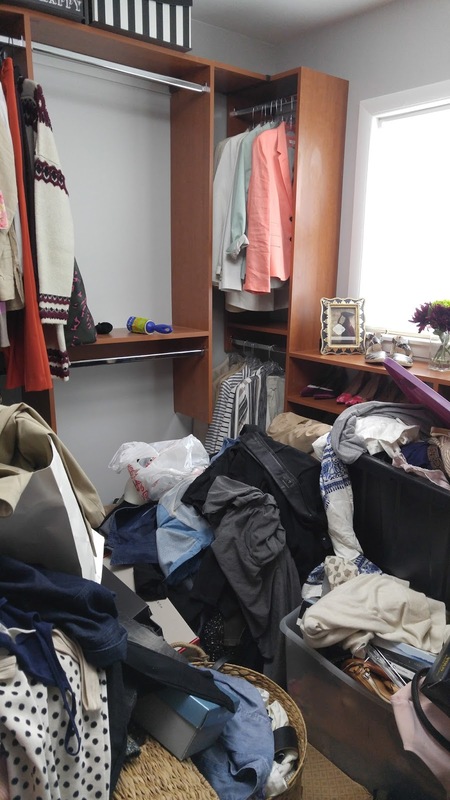 She was merging clothes from three separate rooms into this one space. Some items had been in bins because they were out of season, while others were recently purchased this season and still had tags on them. This is where my team and I stepped in! 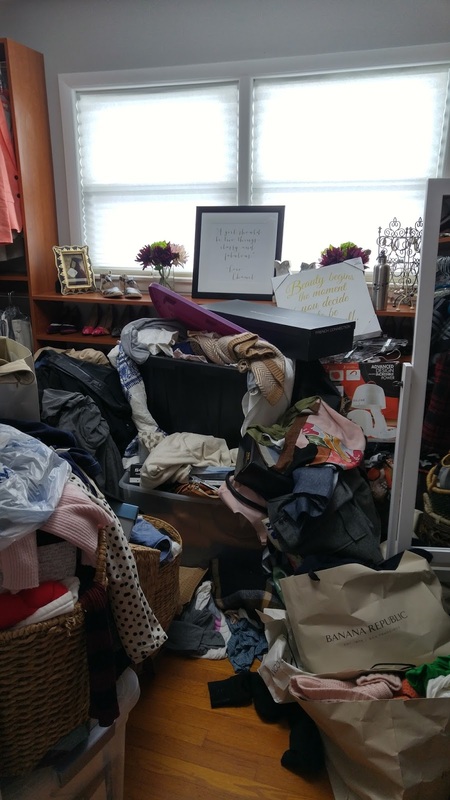 As we started to clear her room and simply get things on hangers and out of bins and baskets, we quickly realized that although the room was a large closet by most standards, we would not have room for her entire wardrobe in here... unless, she was willing to get rid of some things. As I explained that we were already running out of space an hour or two into our first appointment, she quickly responded that she better make sure she wants to keep it all. Fantastic! As we sorted out categories, we brought her in to glance at all the pieces in each category. Do you want all these pants? What about these jackets? How many dresses do you want to keep? She had offered to look through each category and did so with discrimination, but ease as well. After all was said and done, she had 12 garbage bags stuffed in my car ready to donate! With our guidance, she had successfully gotten rid of enough pieces that we could easily fit everything in the room! 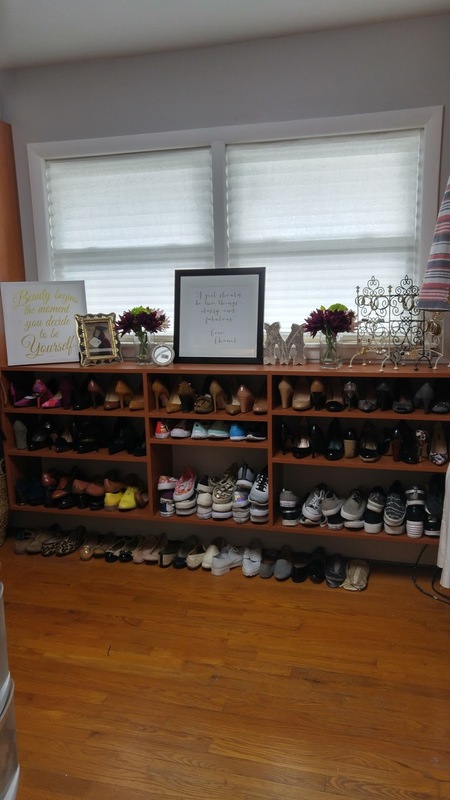 After each category was purged, we began to hang items in color order in the spaces we had predetermined would make the most sense. At the end of day one, all clothes were hung or folded. What remained were accessories and undergarments. That took one more appointment to put away accordingly. 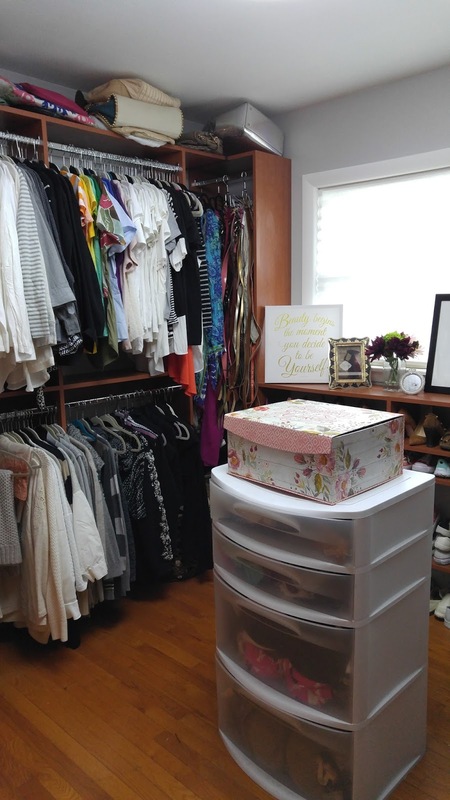 After all was said and done, it took 20.5 (wo)man hours over two appointments to put her closet in order. She was ready to put down a new rug and a new ottoman. We had helped her create the boutique she had always wanted!